This entry was posted in News on 05/28/2016 by Admin. 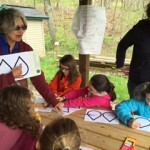 Evergreen volunteers teamed up with ten Brownie Girl Scouts on Saturday April 30th on completion of their WOW! Wonders of Water Journey! The program included a tour of our Tanoma AMD treatment system, a hands-on activity in which the girls attempted to remove natural and man-made pollution from their own miniature “lakes”, lively discussions about why we LOVE water and how we must all work to SAVE and SHARE this precious resource, lessons and activities surrounding watersheds and the water cycle, and an eye-opening demonstration showing how little of the world’s water is safe and available to drink. As a result of their hard work, each Brownie Girl Scout received the Love Water, Save Water, Share Water and WOW! badges. 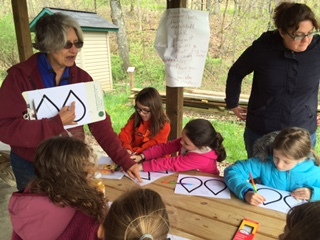 See more photos in our new Environmental Education Photo Gallery!